DSJ Interiors & Exteriors - Home Improvements, Painter/Decorator based in Waltham Abbey, Essex. 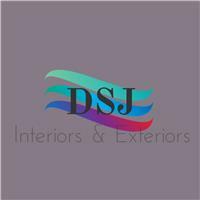 We at DSJ interiors & Exteriors have over 55 years of experience between the team. We pride ourselves on being honest, reliable and friendly. At DSJ our standards are very high, from the smallest to the largest of jobs. We cover all aspects of decorating e.g: interior and exterior painting, wallpaper hanging etc. We also cover some areas of home improvement including handyman, property maintenance & repairs. We also have access to other trades if your job requires it. Our rates are competitive, so call the team at DSJ now!